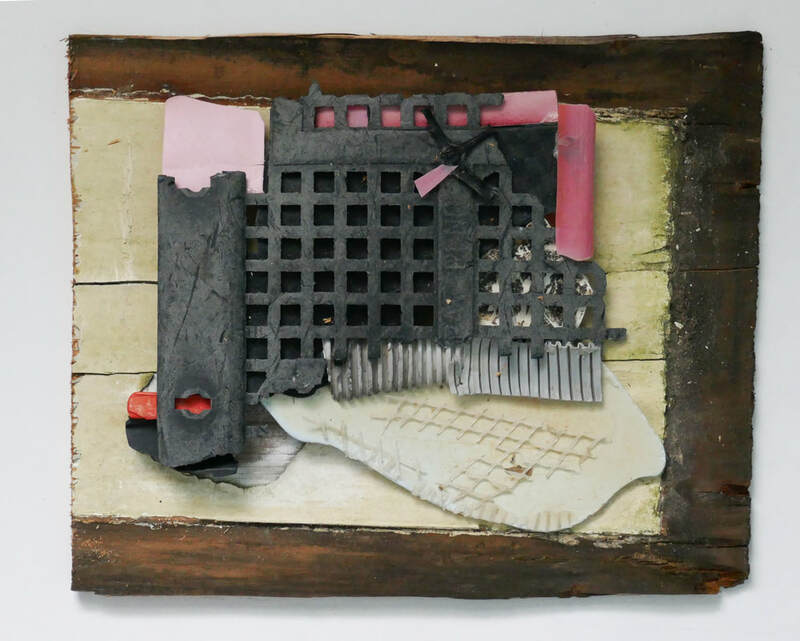 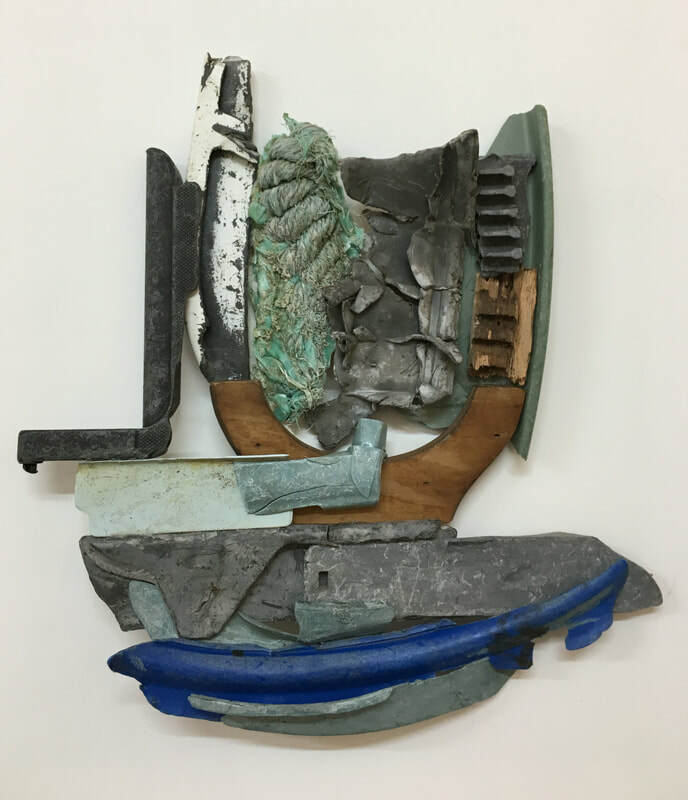 The assemblages are constructed from weathered plastic debris washed up from the sea. 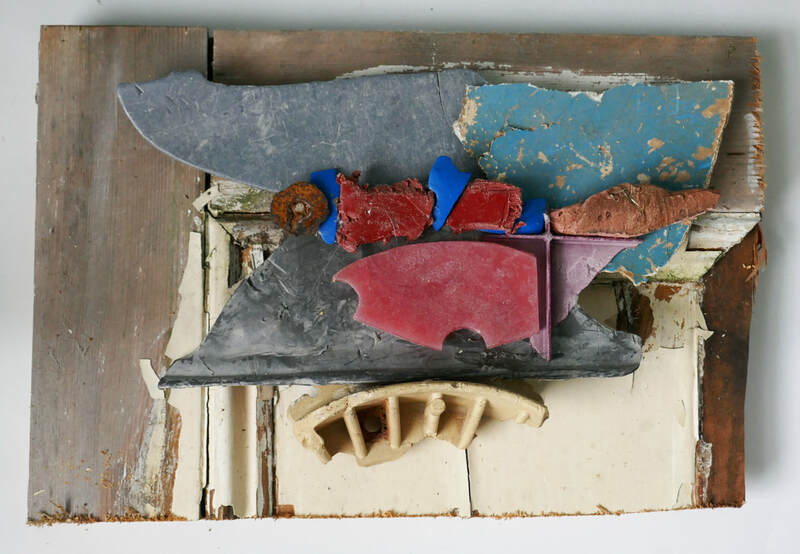 The contrasting opaque and transparent battered surfaces and fragmented shapes compliments the collages. 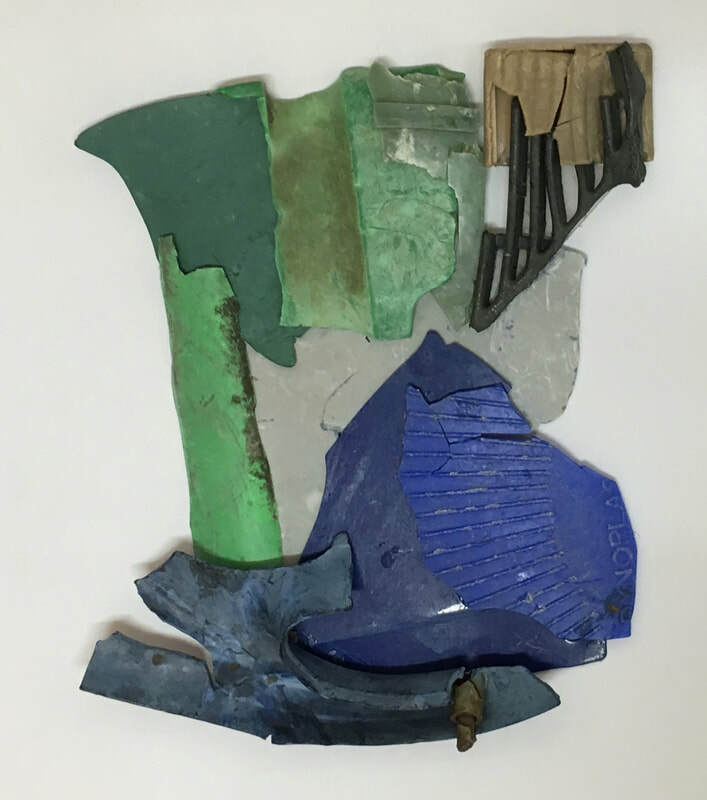 They develop in a similar way through slotting and positioning the pieces to create an arrangement.